Our new E346i Tool Presetting machine moves the benchmark for ‘entry level’ tool presetting and is a welcome addition to our latest generation of advanced tool presetting machines. Re-engineered from the ground up and featuring completely new mechanics and electronics the E346i features a ground granite base and column, electro-welded and de-tensioned steel construction with an ergonomic design. These features are combined with a new larger 9" TFT LCD Touch Screen that provides full operator control via an intuitive icon system allowing functional simplicity that is second to none. Also included as standard is the capability to inspect the cutting edge. 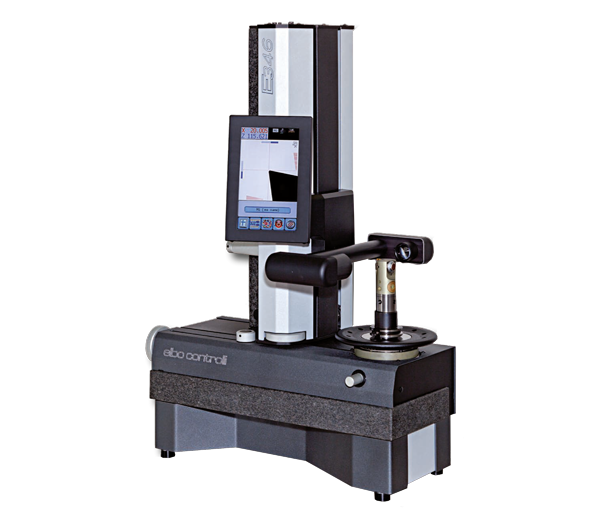 The precision spindle system is fully interchangeable and utilises a one piece cartridge - eliminating the need for adaptors and the errors associated with their use. Also included with our E236N model is our TD346 software package. Working via your DNC system the software converts measured tool data into CNC code for transferring via your network into the machine controller and associated tool offset pages (1st twenty uses for TD346 are free – an additional Dongle is available as an option). Td346 (Tool Data 346) to manage backup and restore functions, machine origins and tool tables.